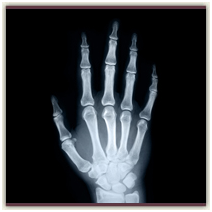 X-Ray is the oldest and most frequently used form of medical imaging. X-Ray, also known as Radiography, is the fastest way for a Radiologist to view bones, the lungs and certain soft tissues. X-Ray is most commonly used to assess broken bones, but also plays a key role in orthopedic imaging for surgery and sports-related injuries, as well as many other diagnostic purposes. Digital X-ray is faster than analog X-ray. 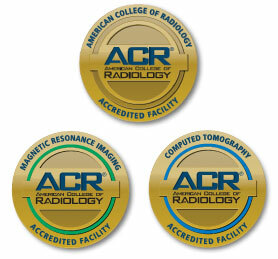 The radiologist is given the ability to highlight or magnify areas of interest. 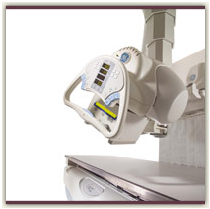 Digital X-ray assists your physician in electronically viewing images and reports, thus expediting your care. X-ray assists doctors in the identification and treatment of a broad range of conditions, including fractures, arthritis, joint injuries, etc. What will I experience during an X-ray? If your exam requires you to lie on an X-ray table, it may feel cold, and you may experience some discomfort due to the hard surface. Depending on your exam, the technologist may be able to place a pad on the table for your comfort. When X-raying an injury, the technologist may require you to hold an uncomfortable position for a few seconds. Any movement could result in the need for additional imaging.